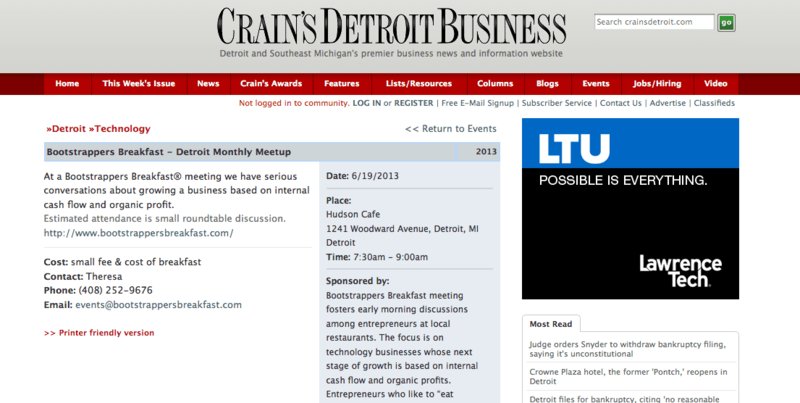 We are excited to be listed in Crain’s Detroit Business. It is great to see our events getting traction and reach. Thanks to great work of Travis Johnson. He is a technologist and entrepreneur who has been willing to share his experiences and offer his advise to others.